between alpha2 and alpha1 gene maintained during evolution through repeated rounds of gene conversion. The level of transcription of the two alpha genes differs, encoding the alpha2 gene two to three times more alpha globin than alpha1 gene. The different expression of the two alpha genes has implications for the amount of hemoglobin variant present in carriers of alpha1 or alpha2 globin mutations, and for the pathophysiology of the deletional and nondeletional forms of alpha-thalassemia. The presence and integrity of a DNA region, known as HS40, located 40 kb upstream of the alpha globin gene cluster are critical for the expression of alpha globin genes. Deletions of this regulatory element produce alpha-thalassemia, although both alpha globin genes on the chromosome are intact. A deletion, removing the alpha 1 globin and the theta-globin genes, that results in the transcription of an antisense RNA, leading to silencing of alpha2 gene and in the methylation of its CpG island, has been recently reported as a novel mechanism of human genetic disease. Extended deletions, from 100 to over 250 kb, removing all or part of the cluster including both alpha globin genes and sometimes the embryonic zeta2 gene, result in alpha-thalassemia and hence no alpha chain synthesis occurs. Illegitimate recombination, reciprocal translocation, and truncation of chromosome 16 are the molecular mechanisms responsible for these deletions. More than 15 different alpha°-thalassemia deletions have been described, the most common being the Southeast Asian, Filipino, and Mediterranean types (Fig. 1). Two deletions [ — (alpha)5 2 and — (alpha)20-5] removing the alpha — 2 and partially the alpha! globin gene also result in alpha°-thalassemia. Several different deletions involving the HS-40 regulatory region but leaving both alpha genes intact have been reported and all result in alpha°-thalassemia. Less frequently, alpha-thalassemia is determined by nondeletion defects, which include single nucleotide substitutions or oligonucleotide deletions/insertions in regions critical for alpha globin gene expression. Several molecular mechanisms (abnormalities of RNA splicing and of initiation of mRNA translation, frameshift and nonsense mutations, in-frame deletions, and chain termination mutations) have been described, the majority occurring in the alpha2 gene and producing alpha thalassemia. 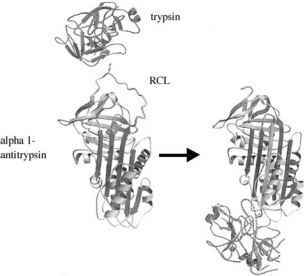 Hb Constant Spring, the most common nondeletion defect that is present in Southeast Asian population, results from a mutation in the stop codon of alpha2 globin gene (TAA! CAA, stop! Glu). The change of the stop codon to one amino acid allows mRNA translation to continue to the next in-phase stop codon located within the polyadenilation signal. The result is one alpha chain variant (Hb Constant Spring) elongated by 31 amino acids which is produced in a very low amount (~ 1%). The instability of the mRNA due to disruption of the untranslated region may be the reason for the reduced production of Hb Constant Spring. 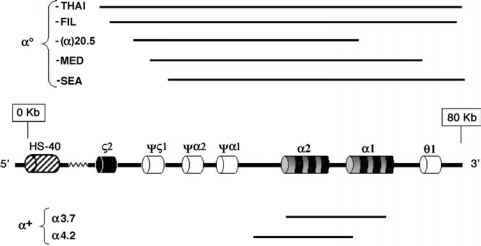 As for beta globin gene, mutations of alpha genes which result in the production of hyperunstable globin variants, such as Hb Quong Sze, (alpha 109 Leu! Pro) Hb Heraklion (alpha 137 pro! 0), and Hb Agrinio (alpha 29 Leu! Pro), that are unable to assemble in stable tetramers and are thus rapidly degraded, might produce the phenotype of alpha-thalassemia.